Registration required for book launch at the Burnaby Public Library (the launch is over, but please view our photos on Facebook). 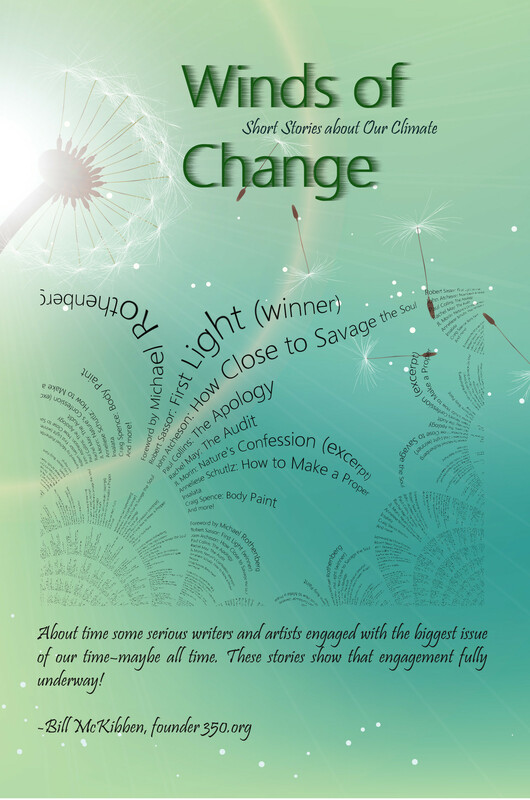 Winds of Change: Short Stories about Our Climate is a diverse collection of eighteen insightful, witty, and emotional short stories about climate change. The selected stories are the result of a short story contest run by Eco-fiction.com in the summer of 2014. In collaboration with 100,000 Poets (Artists/Authors) for Change, Eco-fiction.com engaged authors from Vancouver, BC, and other places around the world, to create speculative fiction about a harsh reality: our planet-at-risk. With a foreword by Michael Rothenberg, Winds of Change also includes several poems by Stephen Siperstein and Carolyn Welch. The selected short stories include the winner Robert Sassor’s “First Light” and honorable mentions by authors John Atcheson, Rachel May, JL Morin, Anneliese Schultz, and Craig Spence. Other authors include Gabriella Brand, Paul Collins, Conor Corderoy, M.E. Cooper, Charlene D’Avanzo, Michael Donoghue, JoeAnn Hart, Janis Hindman, Clara Hume, Stephan Malone, Christopher Rutenber, and Keith Wilkinson. 100,000 Poets for Change is an annual event that brings together poets, authors, musicians, and artists across the planet in a demonstration and celebration to promote peace and sustainability–and to call for serious social, environmental, and political change. The founder and organizer, Michael Rothenberg will be contributing the anthology’s foreword. 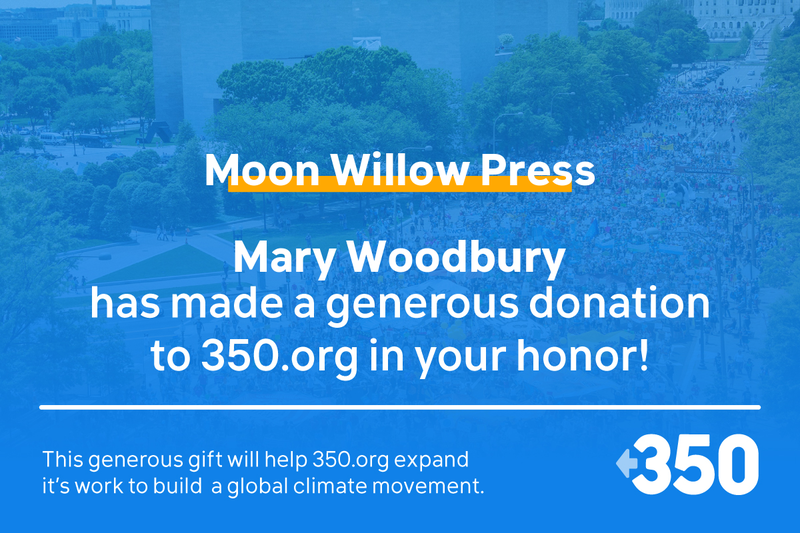 15% of all book net sales will be donated to 350.org, which has a strong mission to mobilize grassroots movements all over the world to raise awareness of climate change and help mitigate it. In early 2019, 350.org sent us a nice donation certificate due to this book’s royalties going toward the organization.